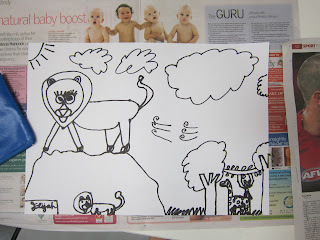 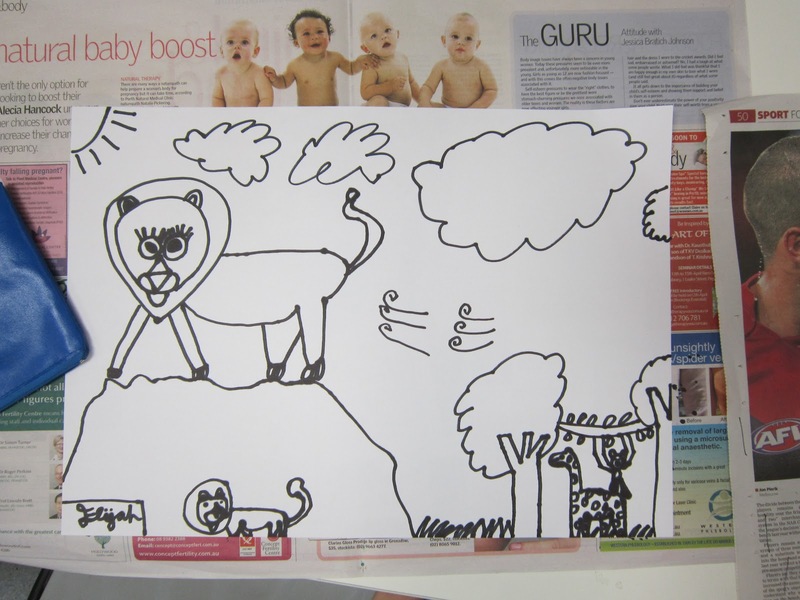 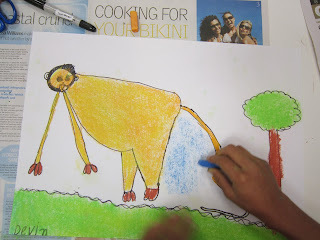 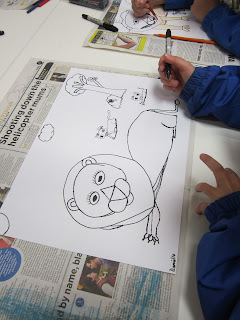 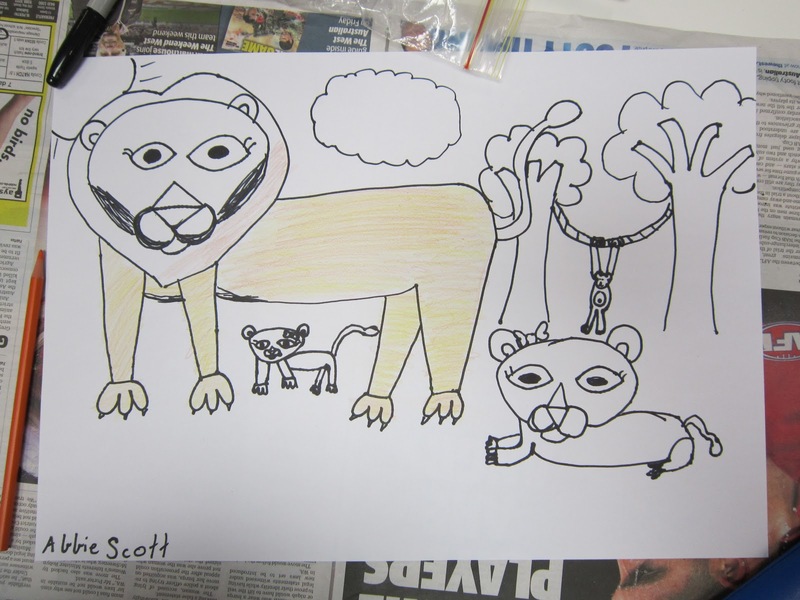 From there we followed step by step instructions to draw a lion. We talked about how even though we would all be following the same instructions our final products might be quite different. We also talked about how it is ok to make a mistake and this is not wrong but an opportunity to be a bit more creative to solve the problem of making a line that is not quite the way we want it to work for us in our art work. 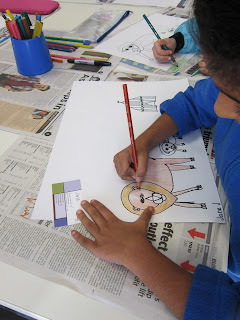 Once the kids finished following my instructions they went on a "studio walk" to have a look at everyone else's work and see how they interpreted the instructions and solved any problems they had. 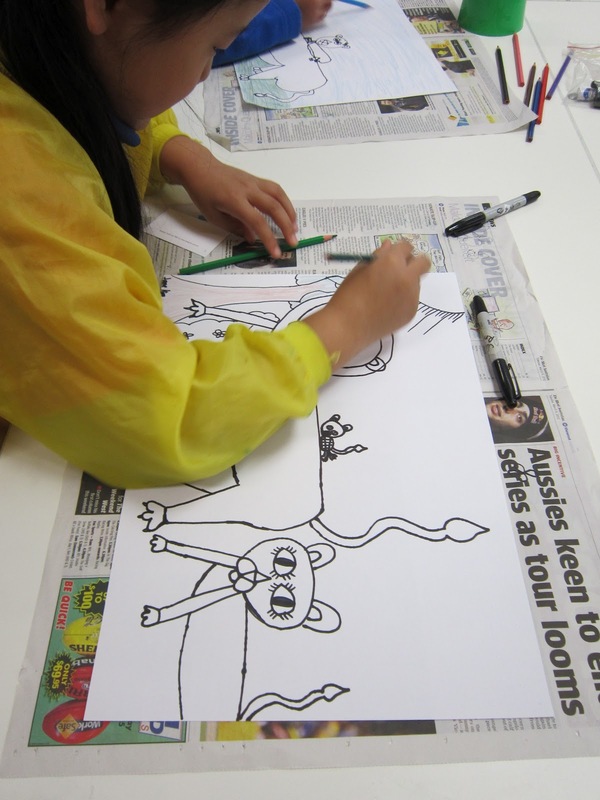 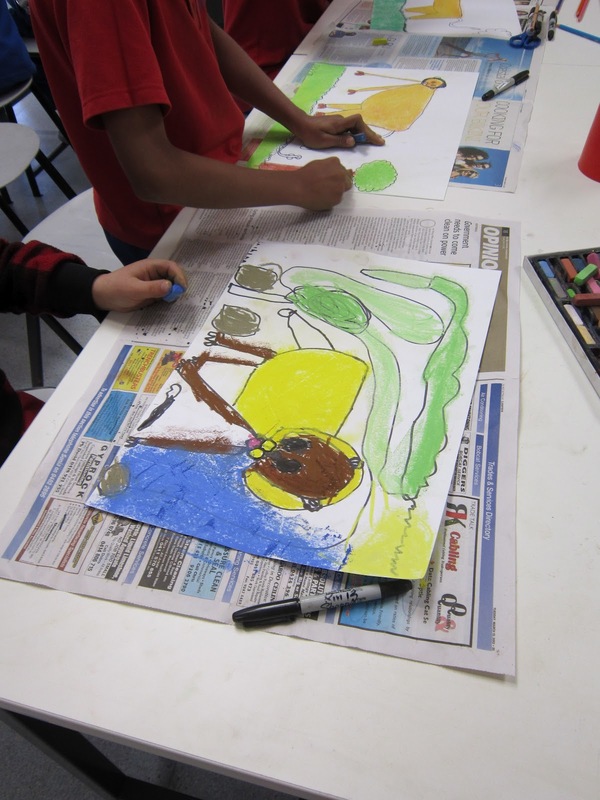 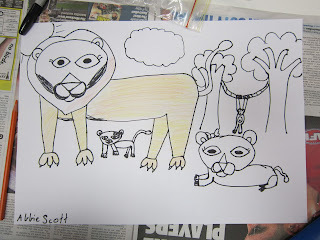 After the studio walk we thought about places we may find a lion and the kids were then able to create the rest of their art work from their own imaginations adding any other details they might need to make their drawings work. They were given the freedom to select from a number of choices when it came to adding colour. 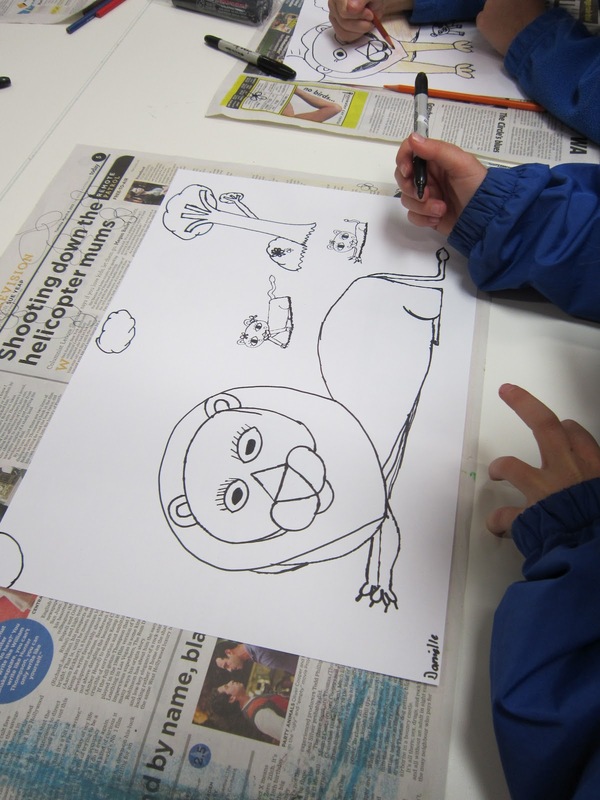 So although we started with a lesson that was highly structured listen and follow instructions it ended allowing children to explore ideas and medium independently in an unstructured way.